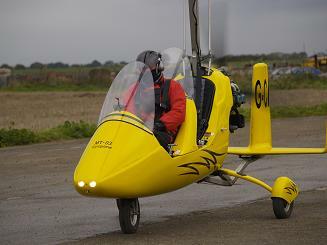 A Gyrocopter looks like a small helicopter but the main difference is there is no engine turning the rotors. The rotors simply self-propel (which we call "autorotate") due to the way that the air flows through them. 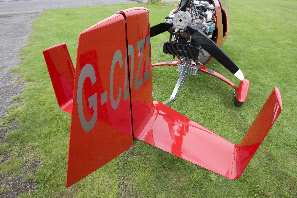 As the engine is not connected to the rotors, this means that a Gyrocopter is not seriously affected if the engine should stop in flight. This, together with a very short landing roll (we can land in a very small open space, about the size of a putting green), means that a Gyrocopter is one of the safest methods of flying. Gyrocopters have traditionally been open cockpit "Motorbikes of the sky" but, since late 2010, they are available as fully enclosed models. This changes the game completely. Watch the video clip on the right hand side, it will explain to you exactly why flying Gyrocopters is so fantastic, it will also help you decide.....which one do you want!! 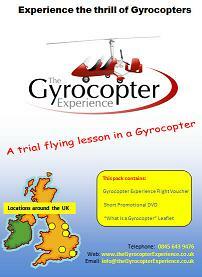 The Gyrocopter Experience has flying schools around the UK where you can "fly one, to try one". See all the locations below. 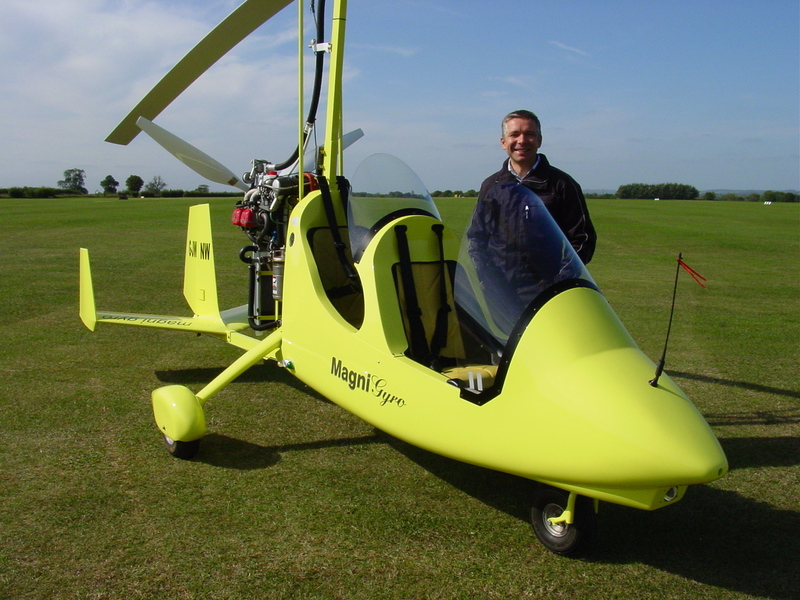 The Gyrocopter Experience head office at York also has a Gyrocopter museum and sales showroom. Come and see the entire range for yourself, you will be made most welcome at all our locations. 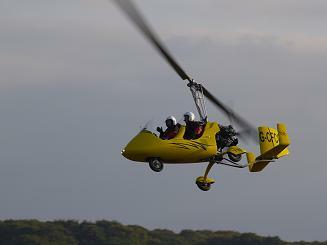 Everyone should experience a flight in a Gyrocopter. It's simply fantastic! 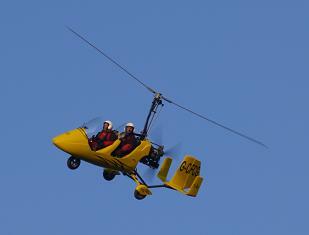 Gyrocopter Experience flights make a great gift for that special occassion. See the countryside from a different perspective. Experience flights can be bought as vouchers from the online shop or direct from any of our Flying Schools (click on the flying school). 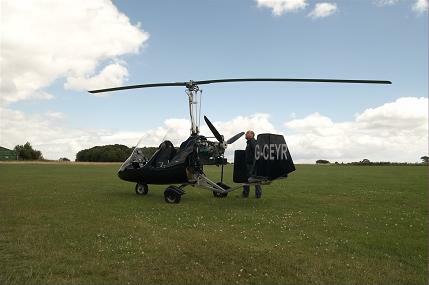 A Gyrocopter is easier to fly than you may expect. It does require a pilots licence but it is no more complicated that flying an Aeroplane or Microlight, it's a lot easier than flying a helicopter. Click here for more details on training. 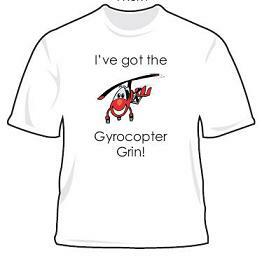 We think being a Gyrocopter Flying Instructor is the best job in the world. 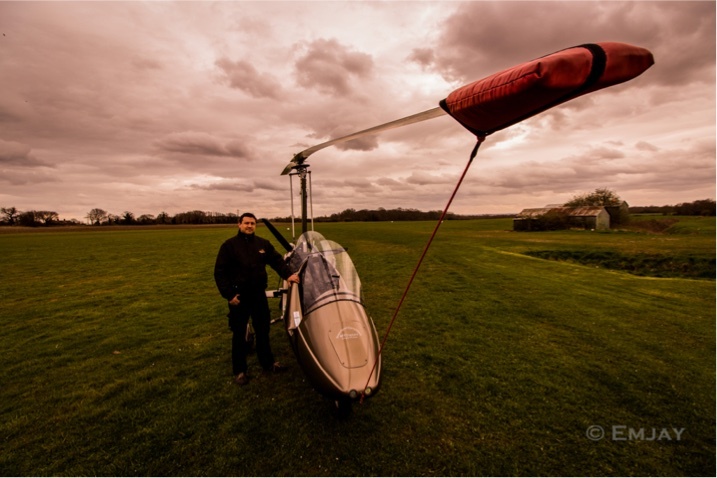 The Gyrocopter Experience can guide through the entire process, from initial training to helping you set up your own flying school business. Click here for more details on being an instructor. 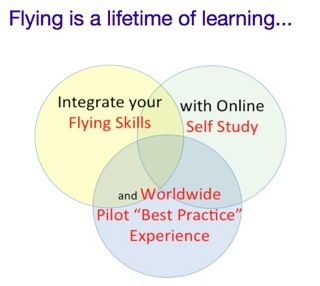 Pilot Training and Experience Flights are available at each school. Click on the school for more details. 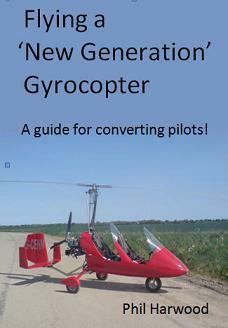 Calling all Gyrocopter Pilots and Instructors! The Gyrocopter Experience are delighted to be one of the sponsors of the International Association of Professional Gyroplane Training? ?This is an Association for all Gyro pilots, instructors, student pilots, manufacturers and regulators of Gyroplane activity with an objective of creating and promoting worldwide standards of Gyroplane flying and instruction. 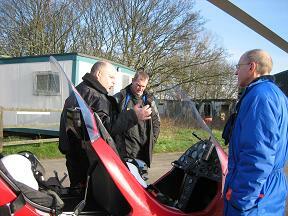 The aim is to continually improve safety of Gyroplane flying, worldwide. 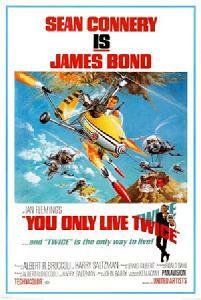 We urge every gyro pilot in the world to become a member of this Association. There is a wealth of knowledge to learn and share. The Association also provides software tools to integrate?Instructor led student training records?with?self-study online training. It's not just for instructors and students though, every Gyro pilot would benefit and learn something, with a system of reminders and checklists to help keep you legal and properly prepared when you go flying. What's happening in the Gyrocopter Community! Student Hall of Fame - A new PPL(G) Pilot! We welcome the following new registered users! This is a selection of goods from our online shop. Click Here to visit the giftshop.